People working in prisons, probation, and youth justice settings, rarely get any thanks for the work they do. That’s where the Butler Trust Awards come in. Launched in 1985, our Awards are the most prestigious of their kind. We receive around 350 nominations each year, from which we grant around 10 Awards and 20 Commendations, and they are presented by HRH The Princess Royal, at our Annual Award Ceremony, normally held in either Buckingham Palace or St James’s Palace. Beyond the Award Ceremony, our Award Winners and Commendees are offered places on our Alumni Programme, to help them learn from and build upon their achievements. And though we can only give Awards and Commendations to a small proportion of those nominated, just being nominated is an achievement in itself and shows that someone’s efforts have not gone unnoticed. Anyone can put someone forward for an Award, and it only takes a few minutes. Most nominations come from people’s colleagues, but we also get many from offenders and from people working in partner agencies. If you know someone who goes above and beyond, help us give credit where it’s due and make a nomination! Who can I nominate and for what? Awards and Commendations are given to people for outstanding work which “goes above and beyond” what might normally be expected of them. They are for people not projects, and may be given to someone for doing something new or innovative, or “just” for doing their ordinary job extraordinarily well. 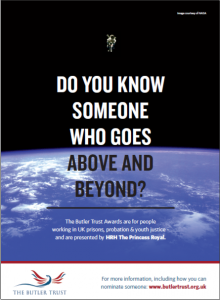 You can nominate anyone working in prisons (inc IRCs), probation and youth justice settings across the UK (staff, volunteers and partner employees). 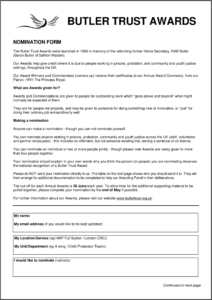 And you can nominate an individual, or two or more people jointly – though please note Awards are rarely given to more than four people together. For more information about what we’re looking for, watch our video (4 mins) and check out details of our recent winners. 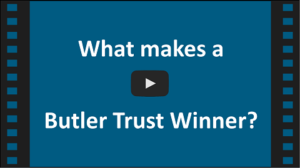 To make a nomination, please complete an initial nomination form, explaining why you think the person (or people) concerned deserves the national recognition of a Butler Trust Award. Please do NOT send your initial nomination directly to us. The nomination form shows who you should send it to. They will then arrange for some additional supporting documentation to be completed to help us in our deliberations. When should I make my nomination? Nominations can be submitted at any time but the cut-off for each Annual Awards cycle is the 30 June each year. To allow time for the additional supporting documentation to be collated, please complete your nomination well ahead of the deadline if you can. To ensure we do justice to all the nominations we receive, the judging process is thorough and, inevitably, takes time to complete. Our Sifting Panel reviews all the nominations to get a shortlist of around 40 from the original 350+. They are then reviewed in more detail by our final Judging Panel. 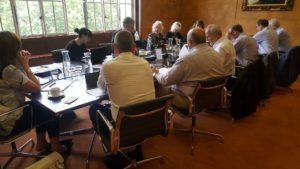 Both panels include representatives of our Trustees, as well as current and former senior managers from prisons, probation and youth justice.